Following the shooting attack on Canada’s Parliament Hill, security has been stepped up at Australia’s parliament as a precaution. 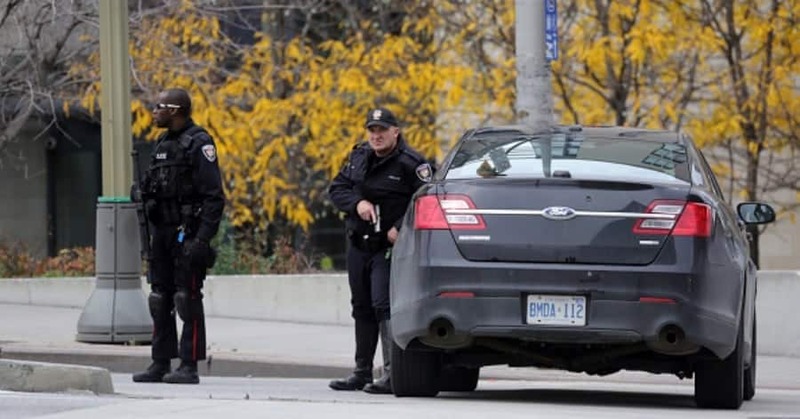 The Canadian Capital, Ottawa, was thrown into turmoil on Wednesday (local time) as a gunman fatally shot a guard at the National War Memorial before moving on to the country’s nearby parliament. Ministers and staff barricaded themselves into their offices as the attacker made his way to the heart of the gothic building before being shot dead by the parliamentary sergeant-at-arms. Australia’s Minister for Foreign Affairs Julie Bishop has revealed she sent a text message to John Baird, the Canadian foreign minister, upon hearing reports of the attack. He informed her he was 50 feet away when the gunman was shot dead in the parliament building. “He [Baird] is safe but clearly very shaken by what is a shocking incident,” Bishop said. Bishop speculated that the attack may be linked to Canada’s involvement in the war against Islamic State in Iraq (Isis/Isil). Prime Minister Tony Abbott expressed Australia’s solidarity with the Canadian people. “This is a shocking event, it’s clearly shaken Canada and it does remind us that this kind of violence can happen at any time,” Abbott told reporters. “Australians woke this morning to further confirmation that the threat to free countries and free institutions is very real indeed,” he said. In response to the attack in Ottawa, Australian Federal Police have increased their presence in Canberra on Thursday in the areas around the Canadian High Commission and Parliament House. In a statement to parliament on Thursday, Speaker Bronwyn Bishop told MPs that due to the security measures in place at Australia’s parliament, an attack like that which took place in Canada would be unlikely to succeed in Canberra. “The images showing action and barricading themselves into the chamber in Canada are of concern. The range of armed response and security lockdown arrangements that we have in place means that this type of action will not be necessary here,” the speaker said. As a precaution though, she said that security in the building would had been beefed up further on Thursday. This is in addition to the increased measures implemented last month in response to a growing perceived threat of a terrorist attack, in particular by people identifying with Islamic State. Following unconfirmed reports that the Canadian gunman had recently had his passport cancelled to prevent him travelling to join Isis fighters, Australia’s Justice minister, Michael Keenan, was asked by Sky News if governments should in fact allow radicalised people, and so the threat they pose, to exit the country. Keenan reaffirmed that it is Australia’s policy that its citizens should be prevented from joining militant groups such as Isis.